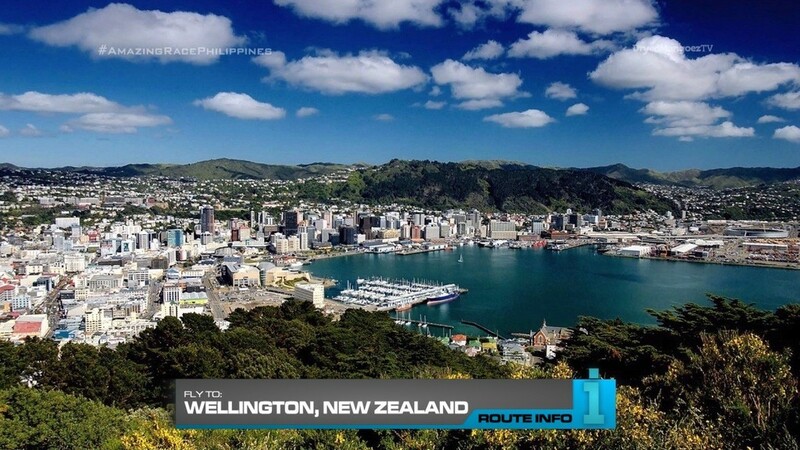 Teams begin the 8th Leg of the Race by finding out they’re flying across the Pacific to Wellington, New Zealand! All teams will be on the same flight to Auckland, New Zealand via Santiago, Chile. But there will be two flights from Auckland to Wellington. The first flight on JetStar Airways arrives at 8:05am while the second flight on Air New Zealand arrives at 8:55am. 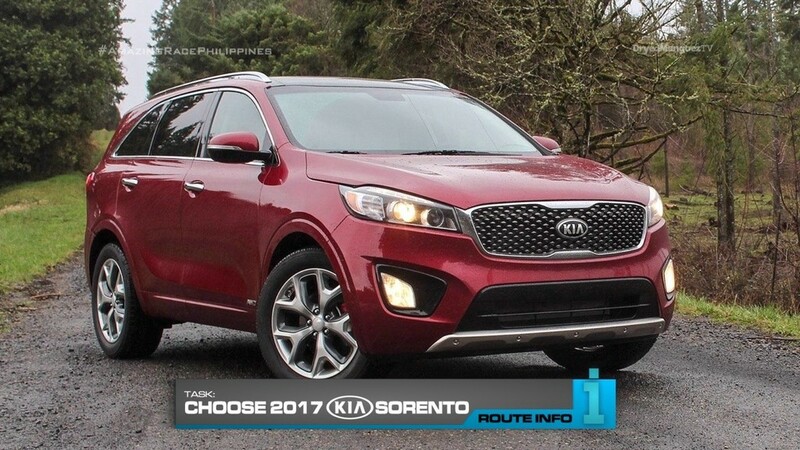 At the Auckland Airport, teams must pick up a beautiful, new 2017 Kia Sportage and drive themselves to Mount Victoria Lookout. By this canon, teams will find the Detour: Ride It or Kick It. 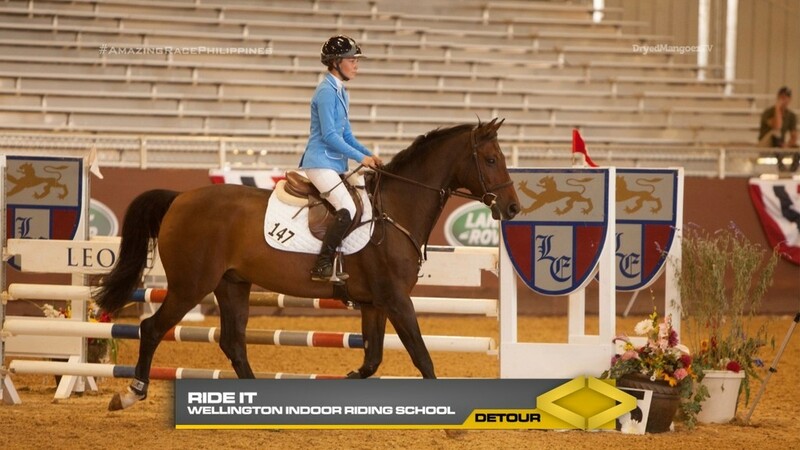 In Ride It, teams must head to Wellington Indoor Riding School and participate in an equestrian obstacle course while riding a real horse. In Kick It, teams must head to Westpac Stadium where each team member must kick three rugby balls to score a total of six goals against pro defenders. 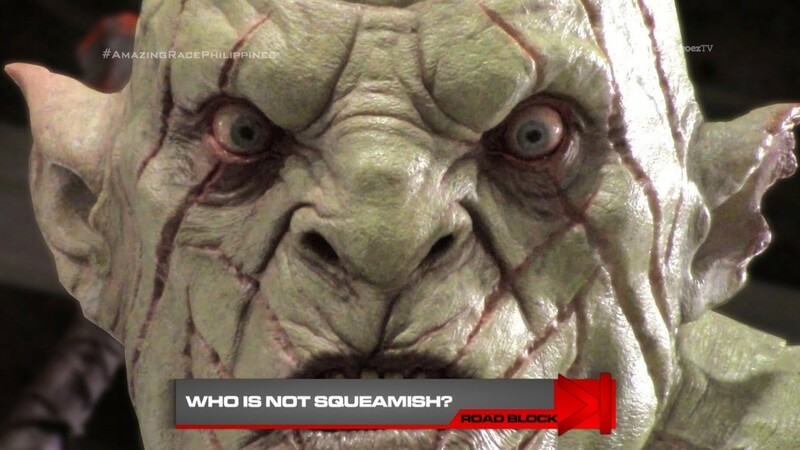 After completing the Detour, teams must head to Weta Workshop where they will find the Road Block: Who is not squeamish? 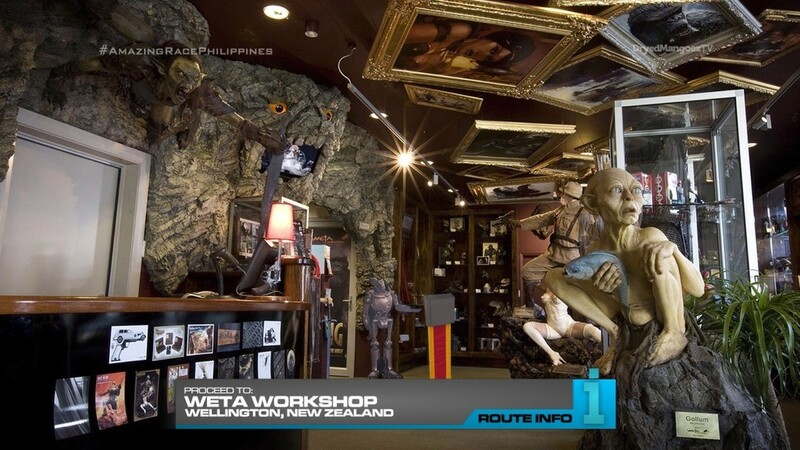 Weta Workshop is a special effects and prop company, arguably best known for its work on The Lord of the Rings trilogy. For this Road Block, the participating team member must put prosthetic makeup onto their non-participating partner’s face according to the provided example. Once approved, teams will receive the next clue. 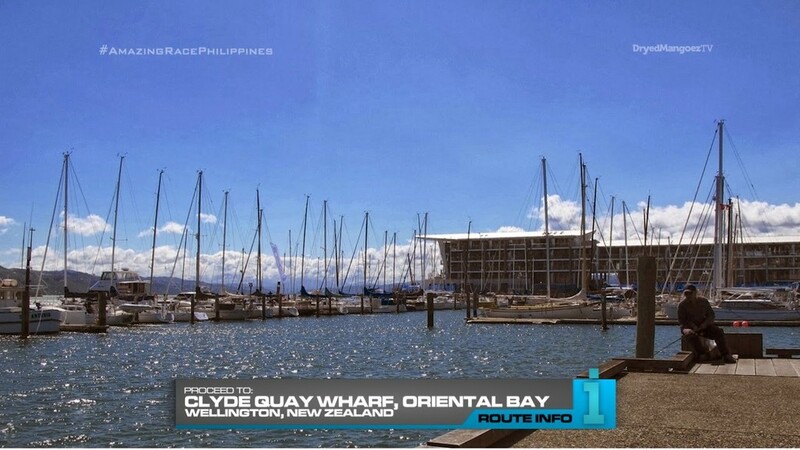 That clue points teams to Clyde Quay Wharf in Oriental Bay. And here, they will find ANOTHER Road Block! Who can face the people? The team member who did not complete the first Road Block (the one that is now in full prosthetic makeup) MUST complete this Road Block. 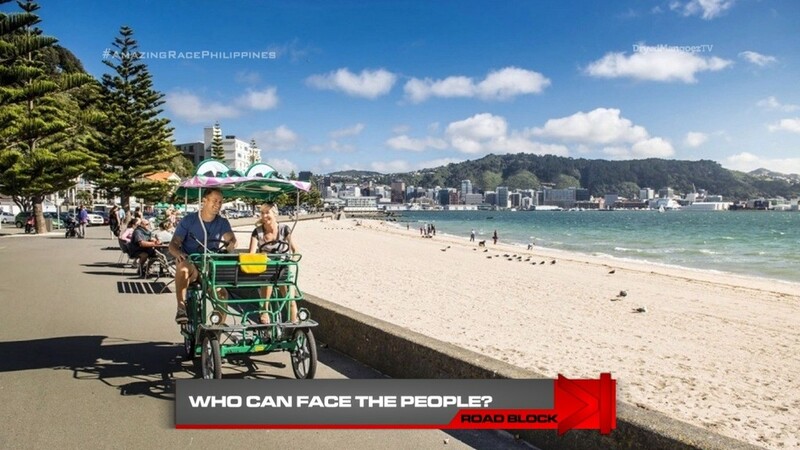 And for this Road Block, teams must ride a popular crocodile bike along Oriental Bay and find people who will go for a ride. Teams must convince at least four groups of 1 or 2 people to ride with them for at least 10 minutes. Once teams have given rides, they will get the next clue. That clue directs teams to find the Pit Stop at The Beehive. 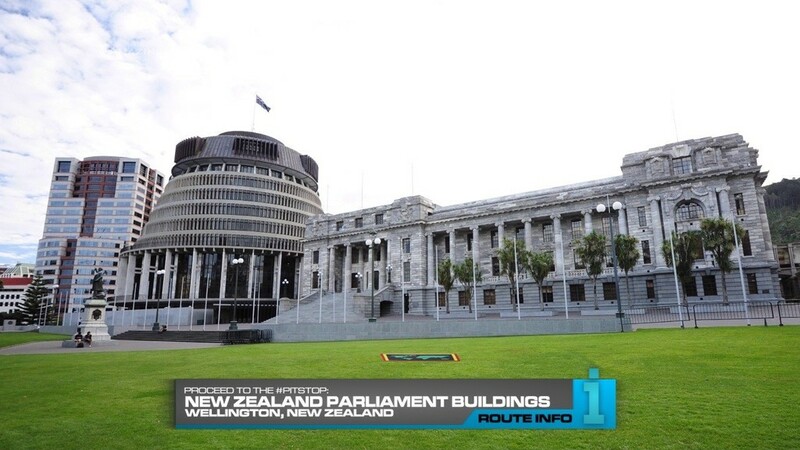 Teams must figure out “The Beehive” refers to the Executive Wing of the New Zealand Parliament Buildings. This should be a solid Leg. Lots of great potential here. New Zealand is a good connection between South America and Asia. And it was only visited once, back in Season 4. =D So this is a good time for a return. The Detour is alright. The equestrian side of the Detour is typical recycled task. Rugby though is definitely very Kiwi, so it’s a good task that hopefully many teams will chose. 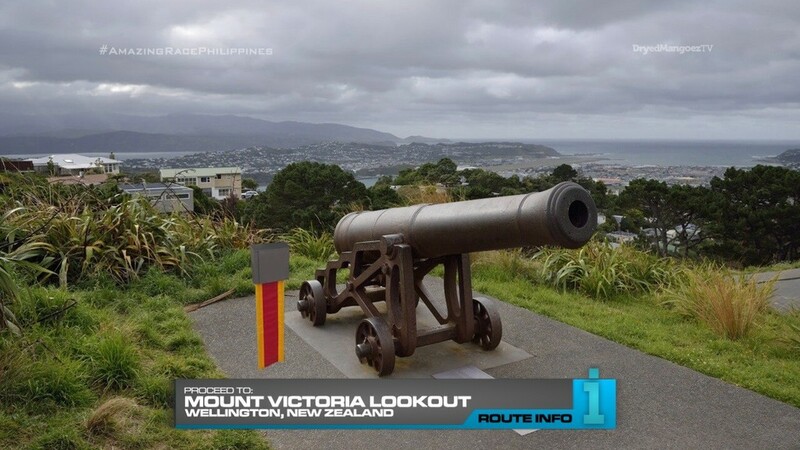 Weta Workshop is definitely a good spot for a task, considering New Zealand has been a big hub for many different action and fantasy productions. The prosthetic makeup is also a nice little way to set-up the second Road Block which should be fun. Especially since there’s no extra Route Marker, this is a good Leg to have two Road Blocks. The cryptic clue at the end should hopefully help fill out the Leg and maybe add some last minute drama. Overall, a solid Leg in New Zealand. ← Recap: The Amazing Race 28, Episode 11 – "Just pee your pants. I swear, just pee yourself."